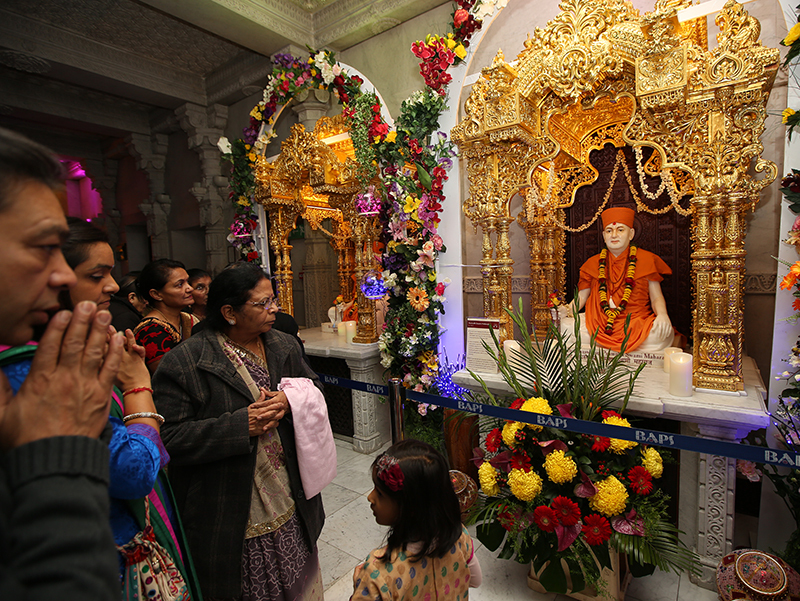 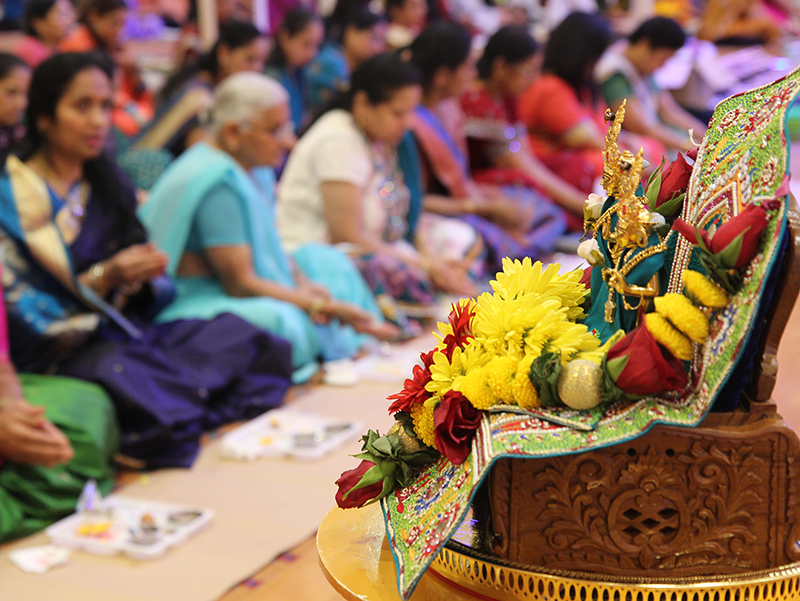 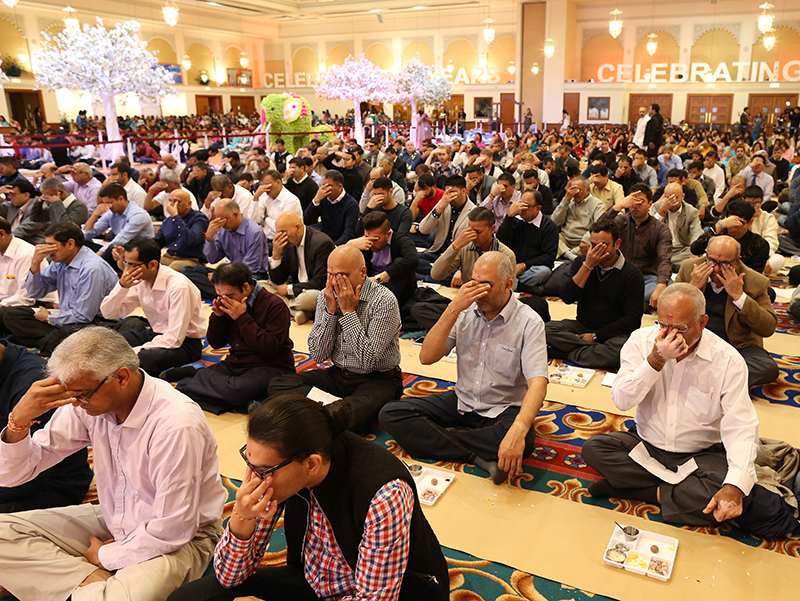 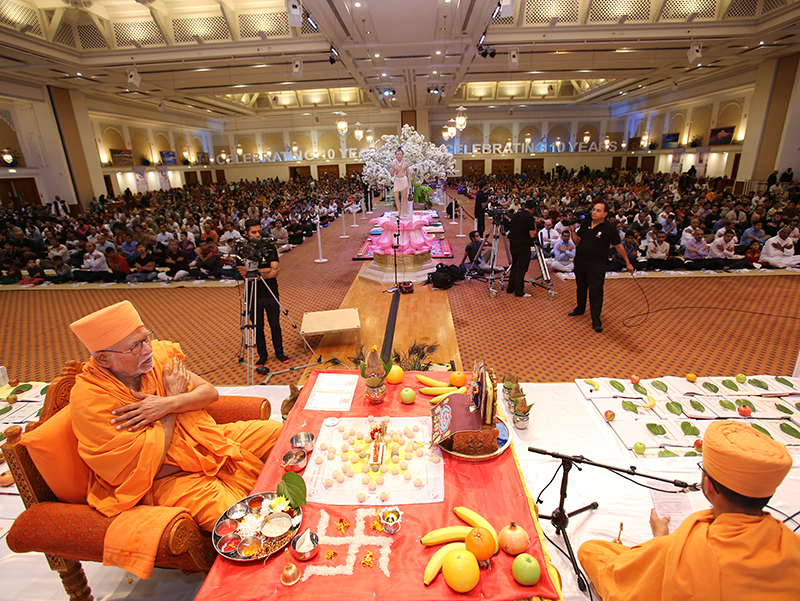 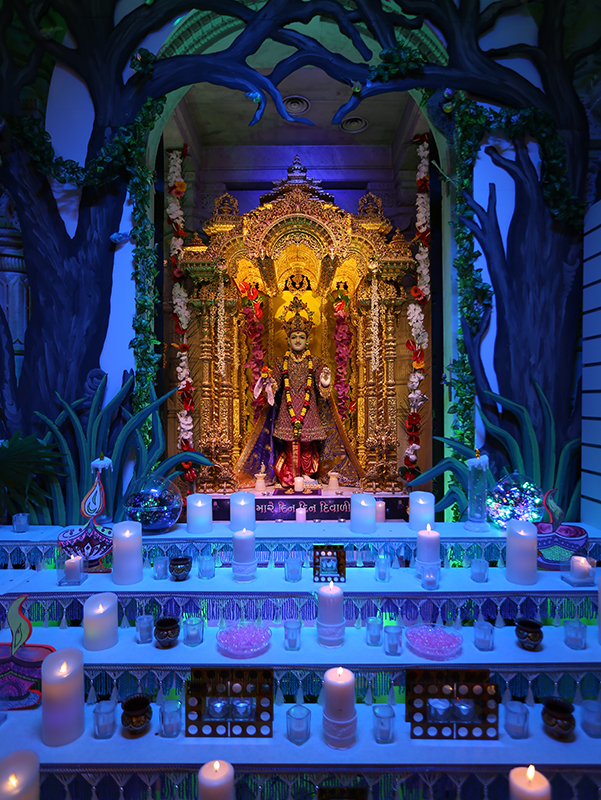 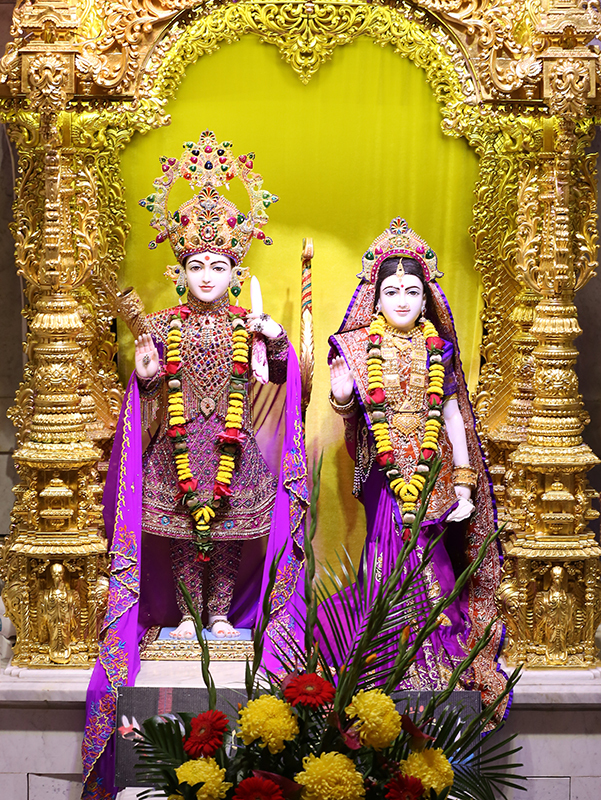 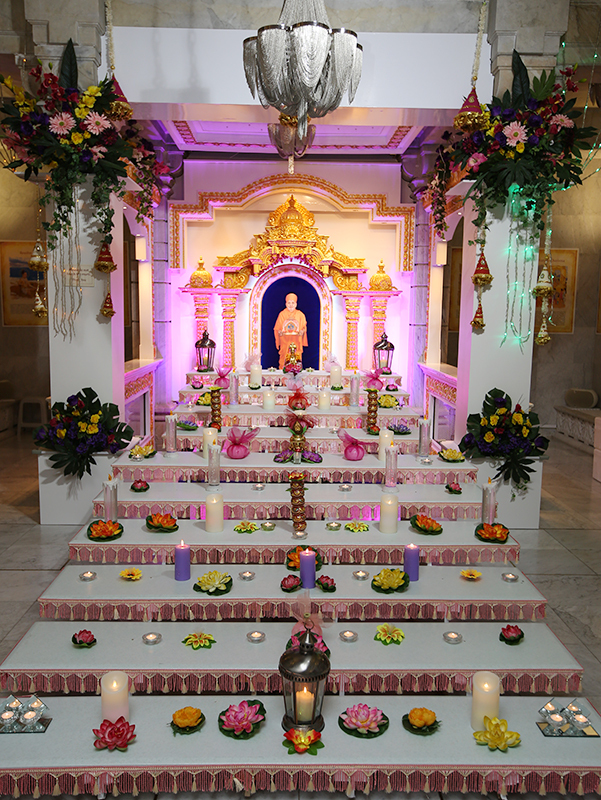 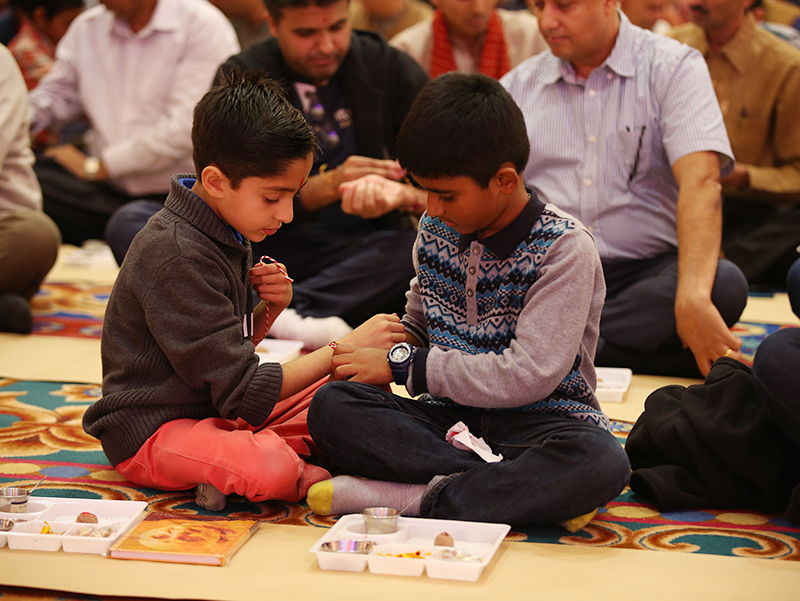 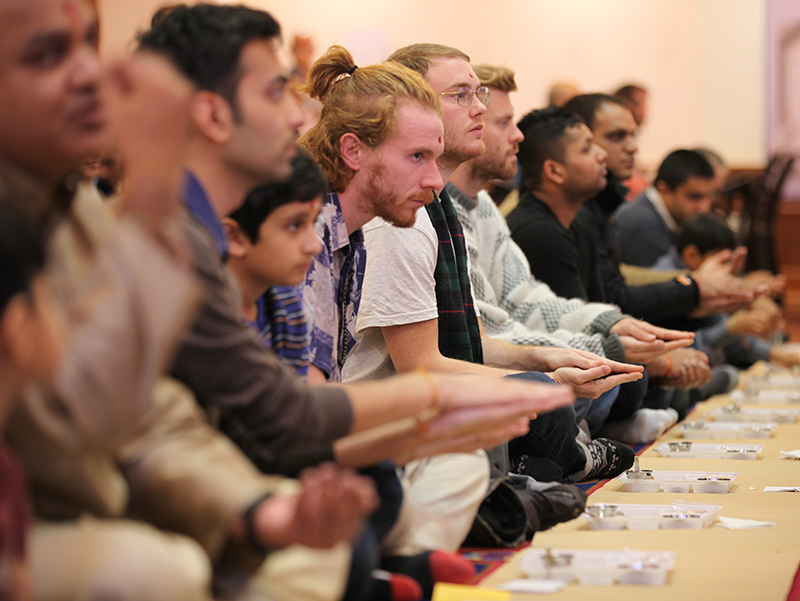 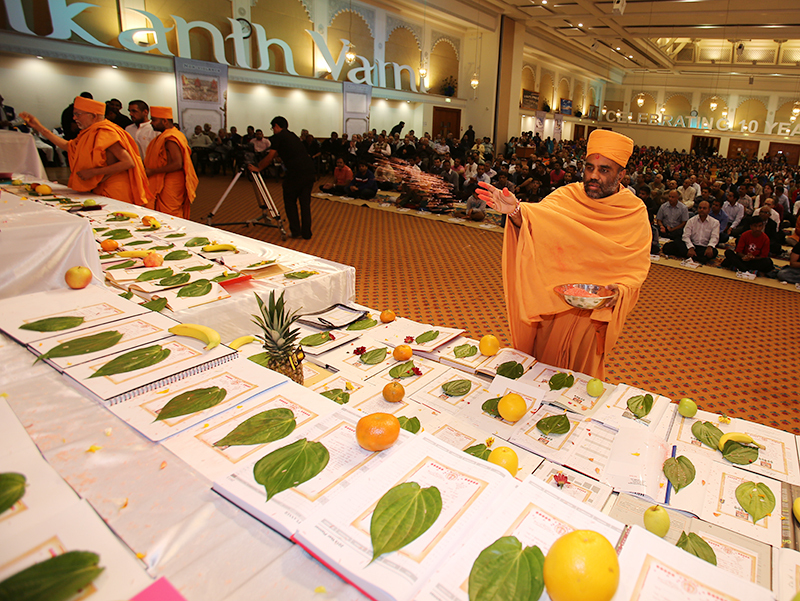 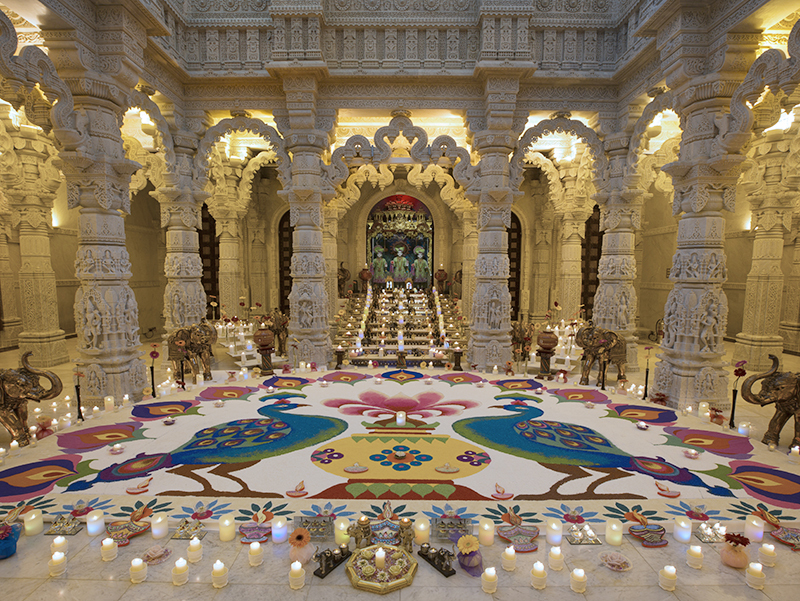 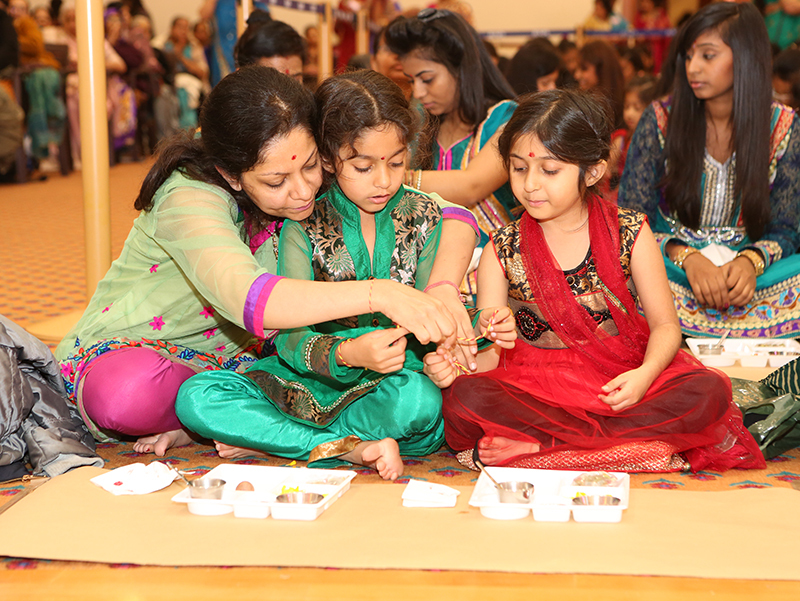 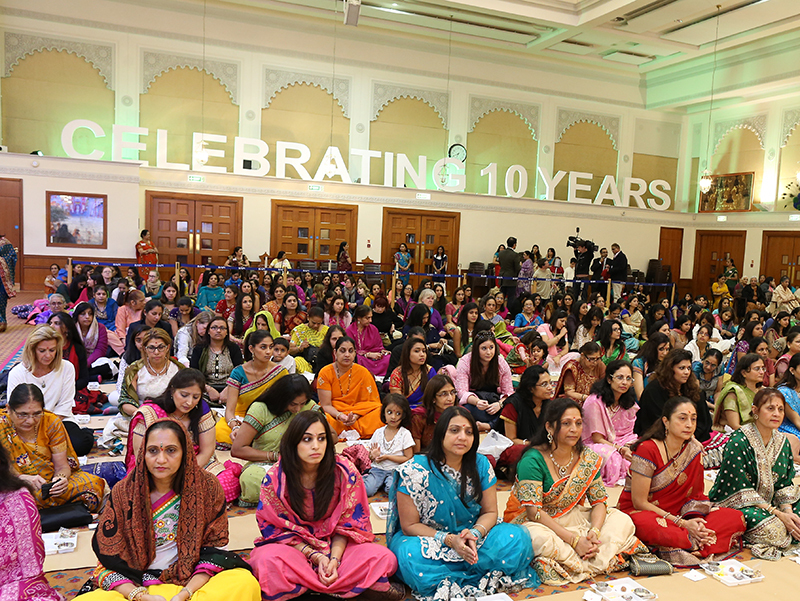 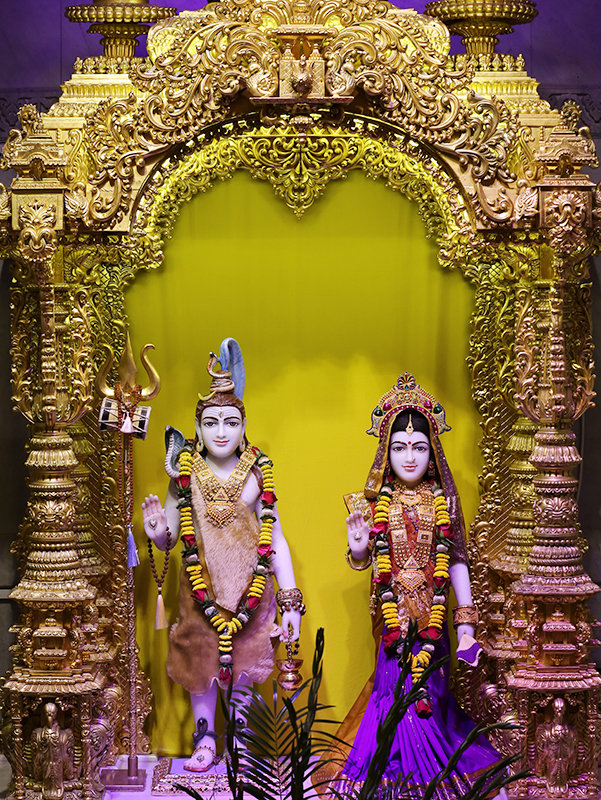 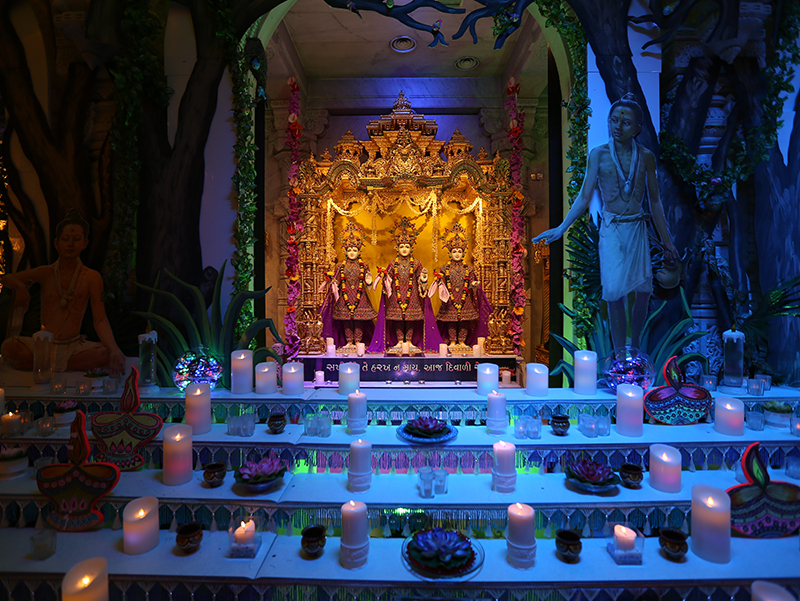 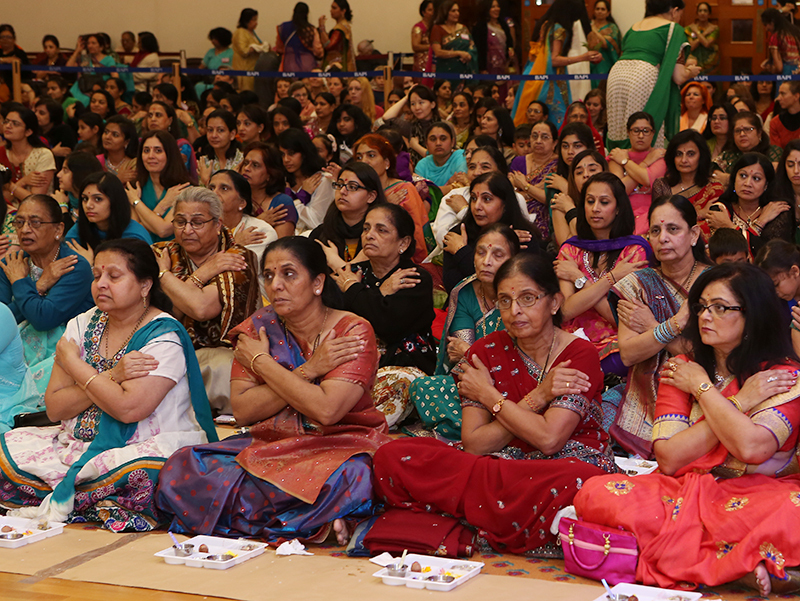 The traditions and rich culture of Diwali – one of the most auspicious days in the Hindu calendar – were joyously celebrated at BAPS Shri Swaminarayan Mandir, London on Thursday 23 October 2014. 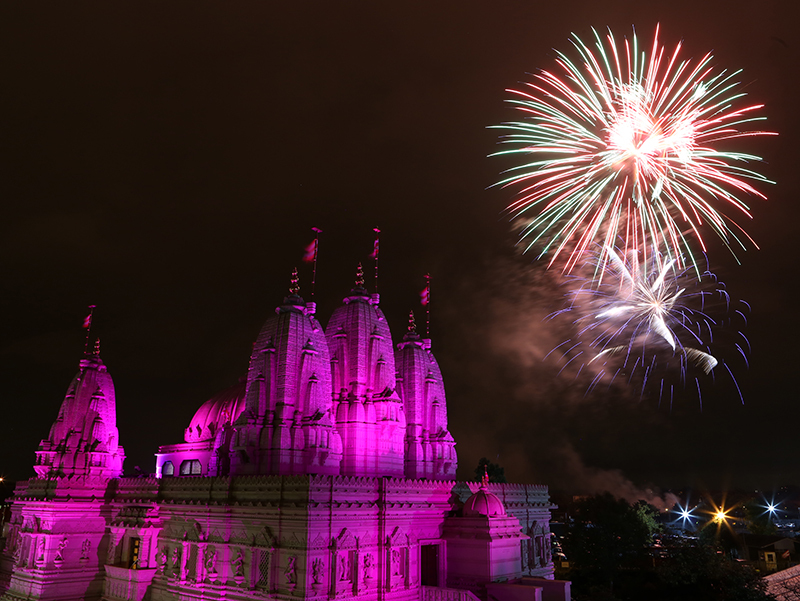 Diwali, known as the ‘Festival of Light’, celebrates the victory of good over evil and is a time not only for merriment but also goodwill, charity and family values. 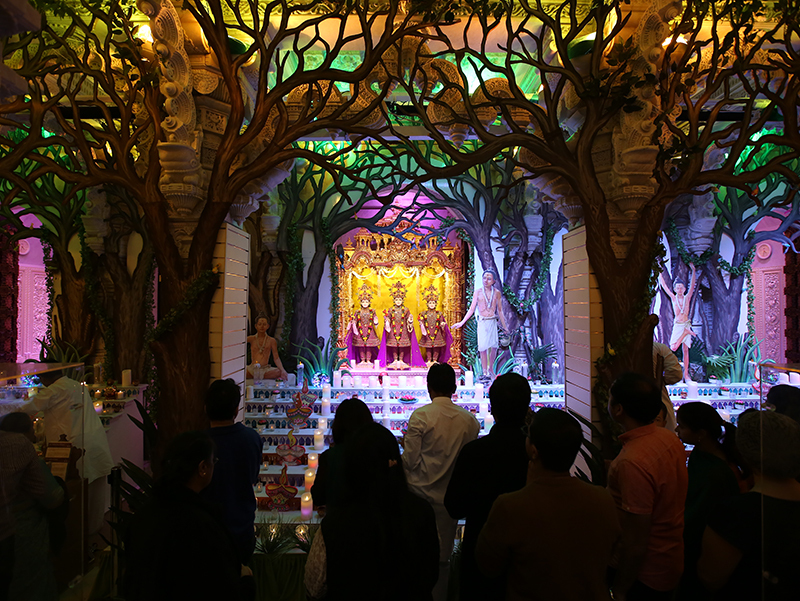 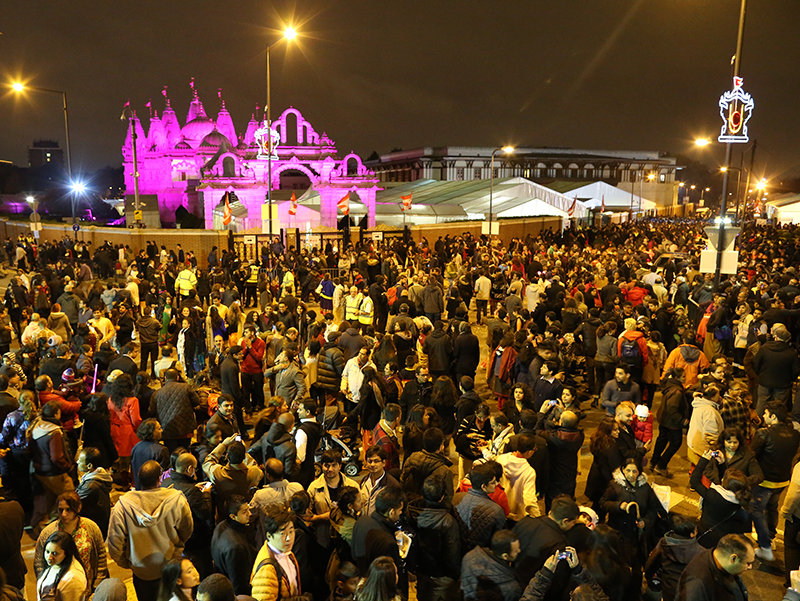 Worshippers and visitors arrived at the Mandir throughout the day to experience the spirituality and colour of the festival. 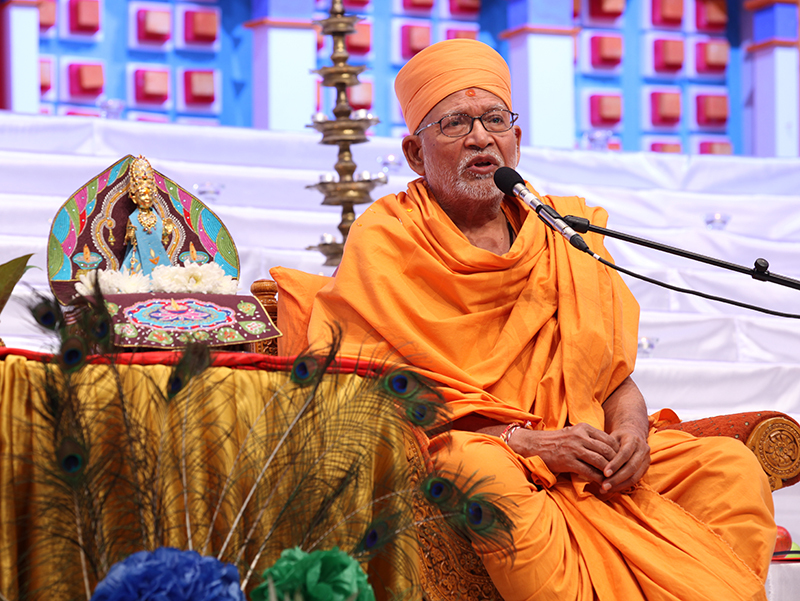 In the evening, a special ceremony in the presence of senior sadhu Bhaktipriya Swami (Kothari Swami) was held inside the assembly hall for families and business owners. 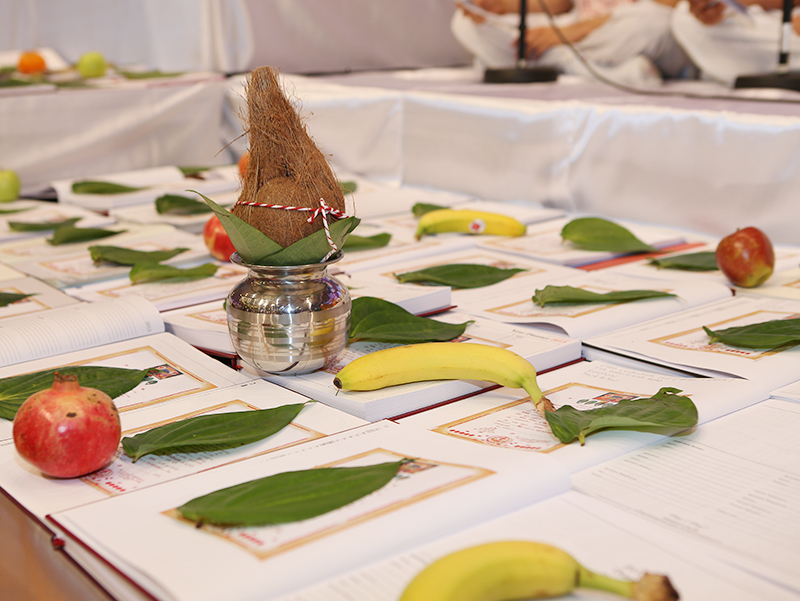 Existing account books were closed and fresh accounts were opened in preparation for the year ahead. 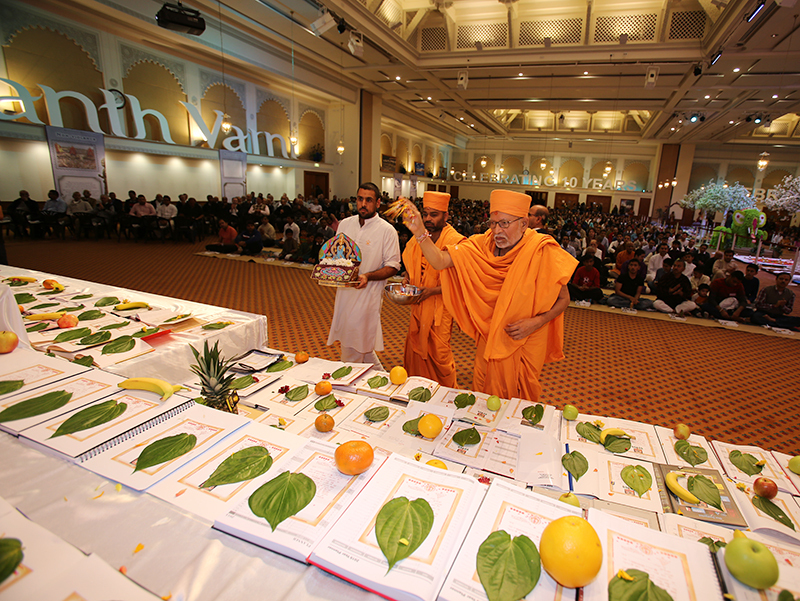 The ceremony also symbolises taking stock of one’s spiritual relationship with God. 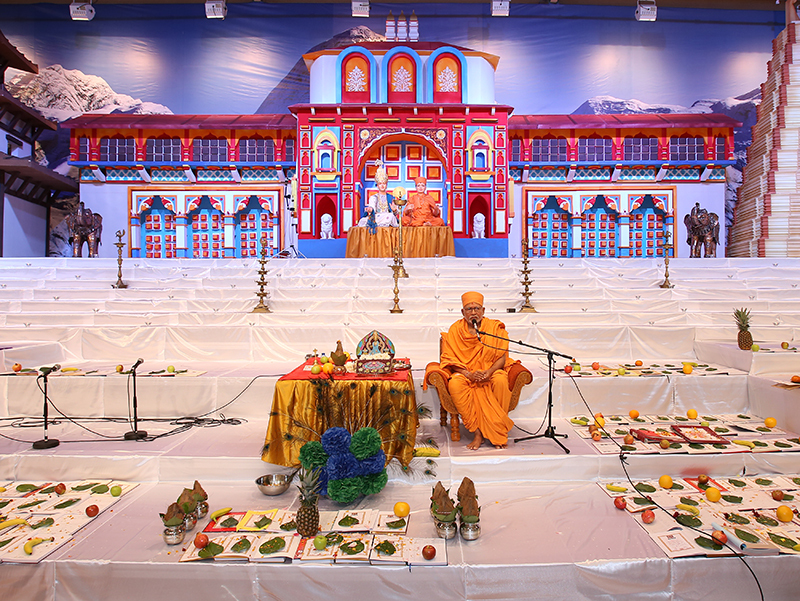 A short assembly was held thereafter where Pramukh Swami Maharaj’s Diwali message and blessings from India were shared. 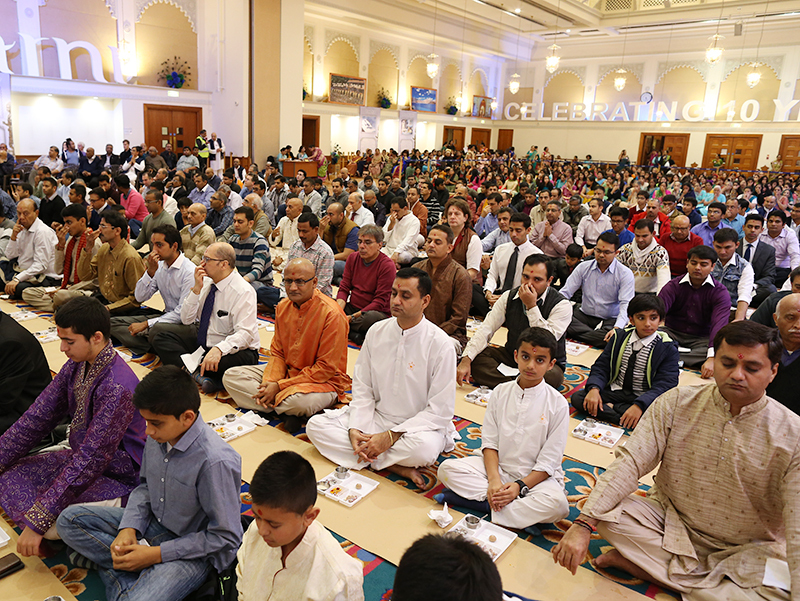 Kothari Swami addressed the gathering, offering his warm wishes to all those celebrating Diwali. 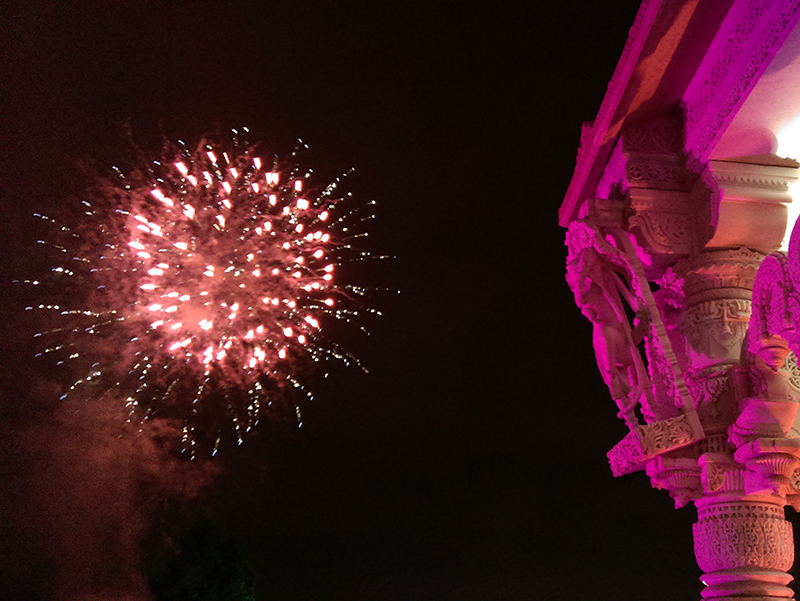 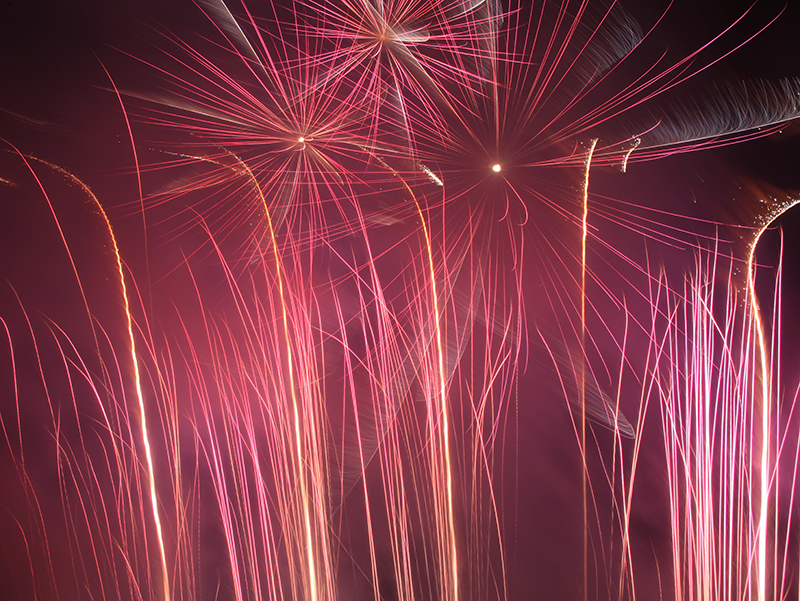 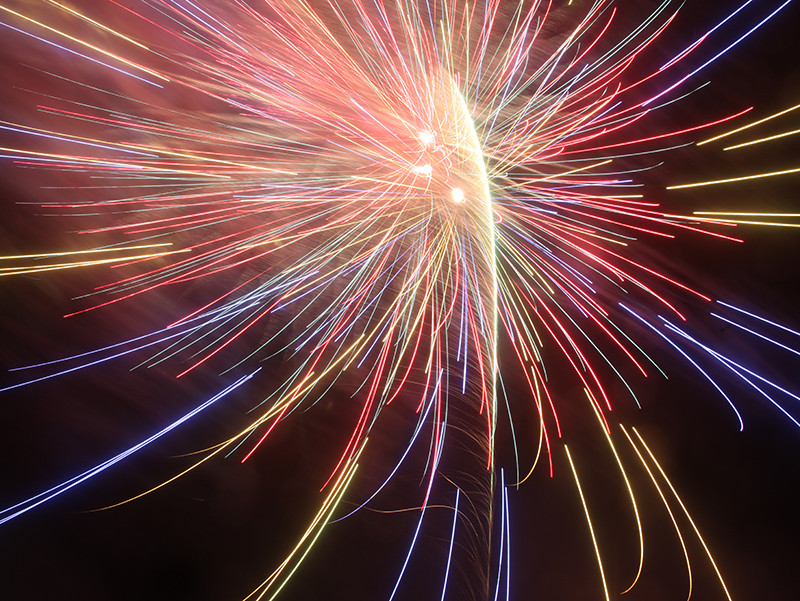 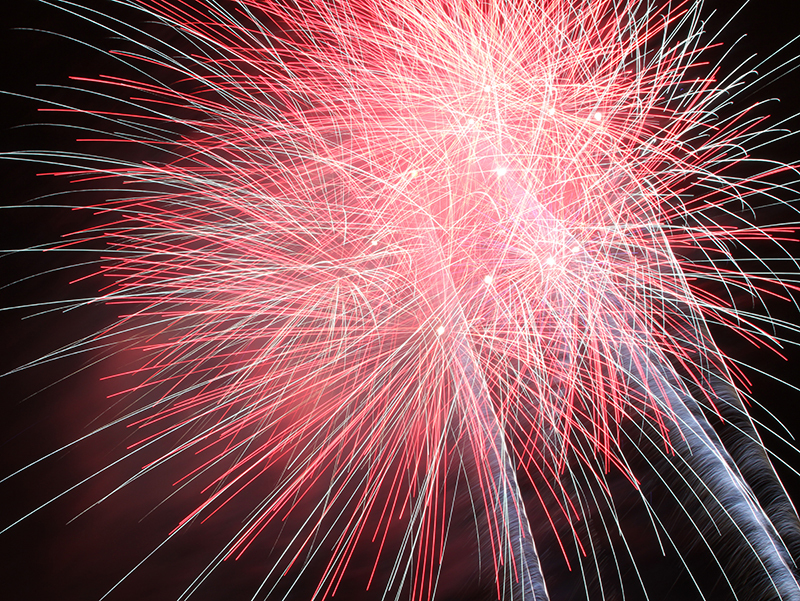 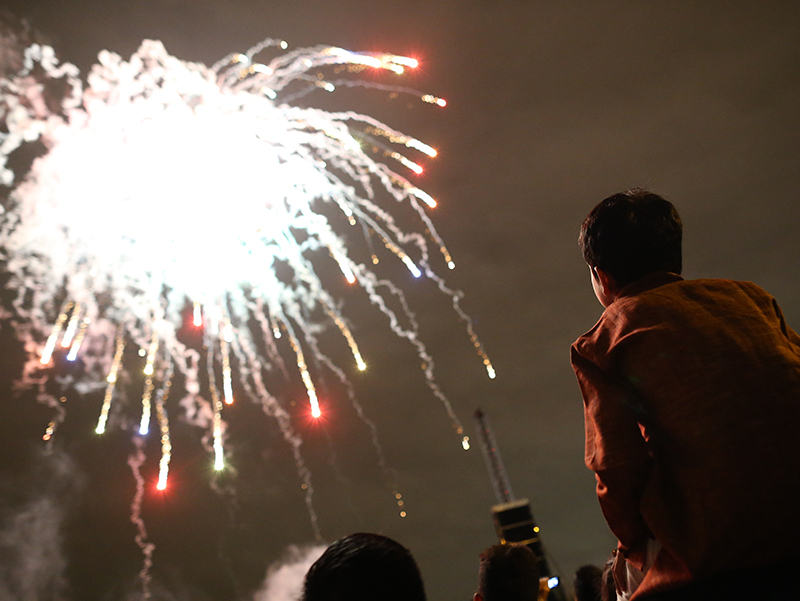 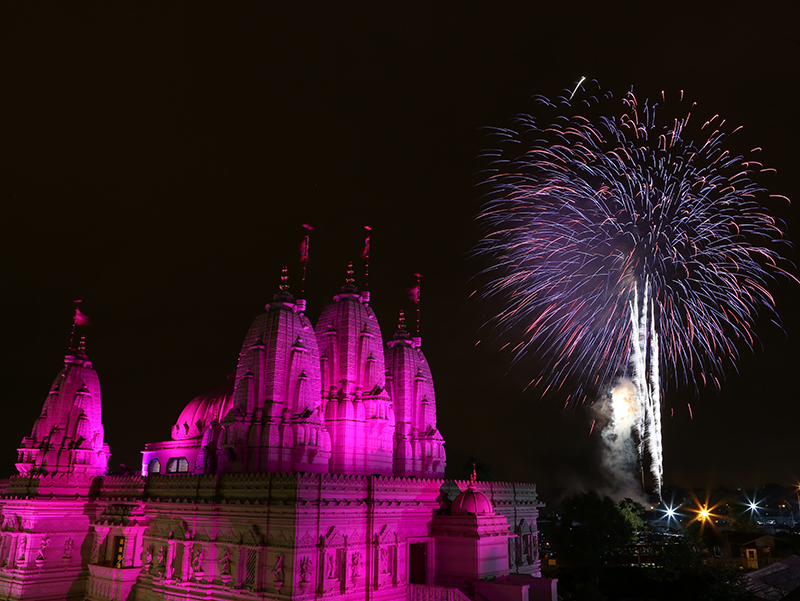 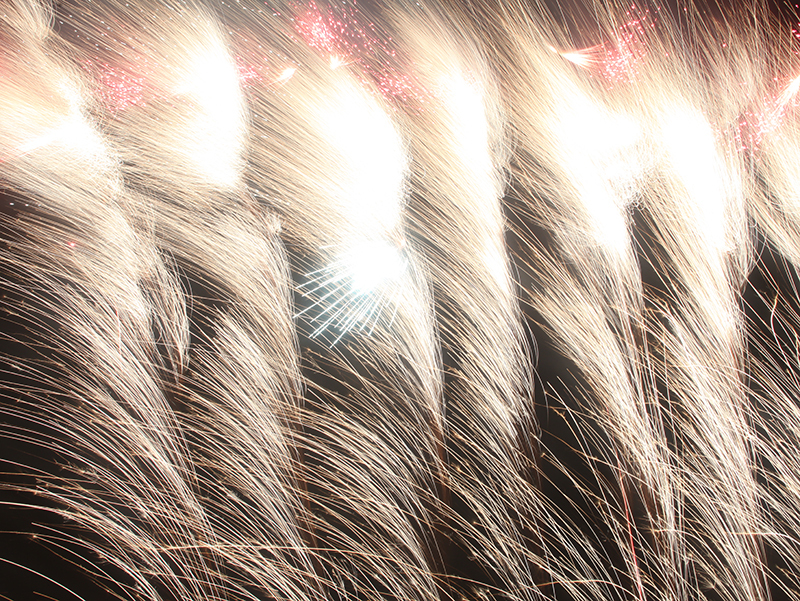 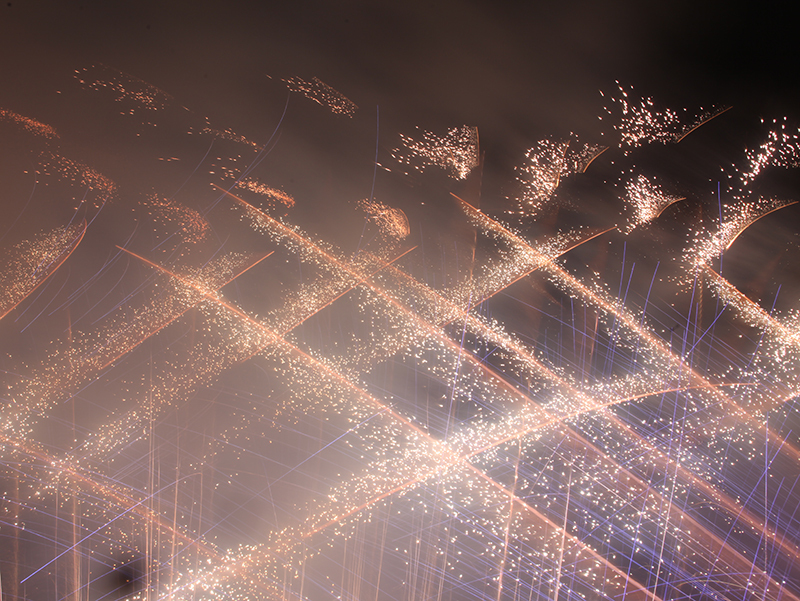 A grand fireworks display illuminated the skies of North London high above the domes of the Mandir. 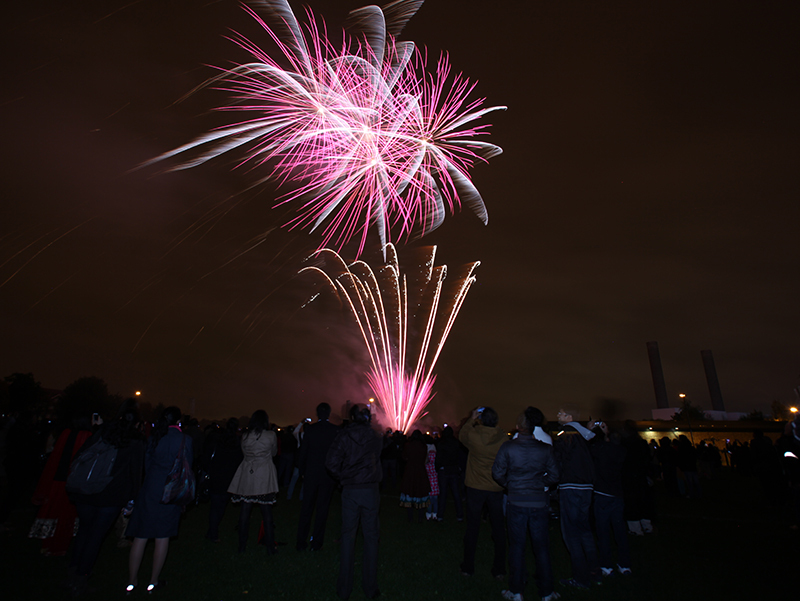 Set to pulsating music, the display provided a spectacular fusion of colour and sound for people of all ages in the local community. 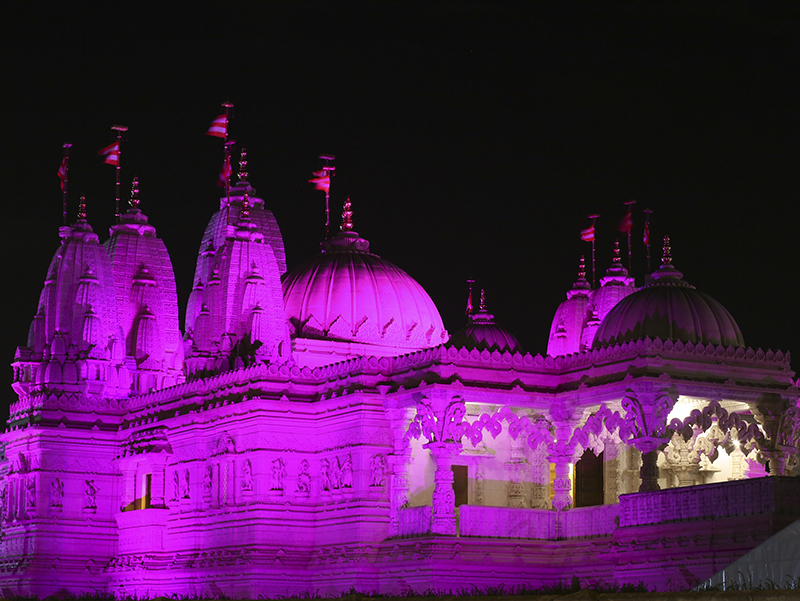 In keeping with the charitable spirit of Diwali, the Mandir was lit up in pink in support of Breast Cancer Care for Breast Cancer Awareness Month. 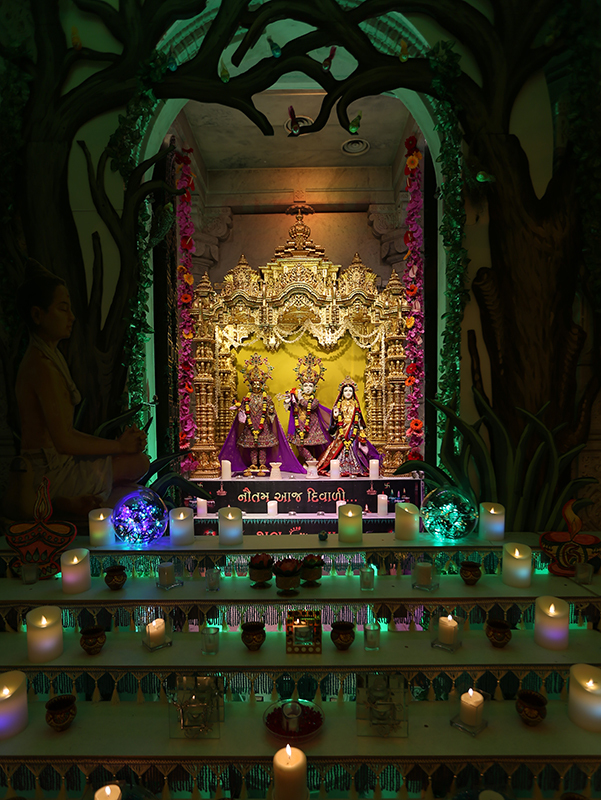 Read more about this here.